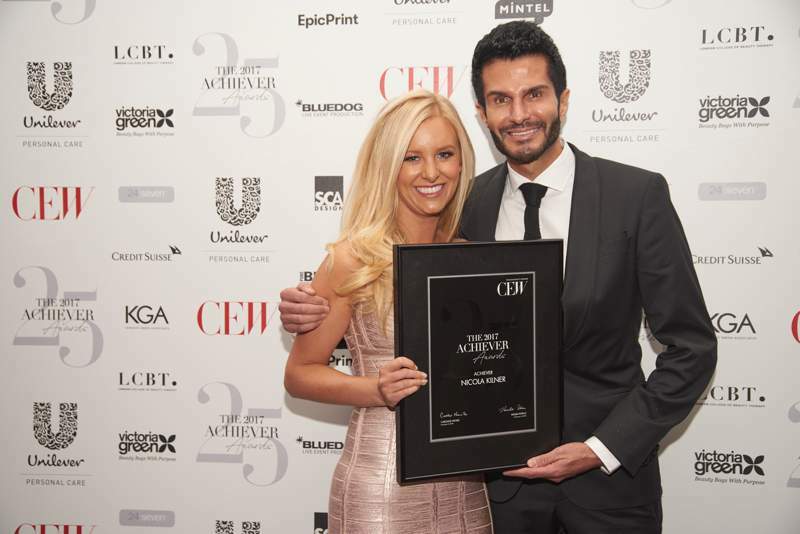 On 13 November, CEW was proud to honour some stars of the industry at its spectacular annual Achiever Awards. 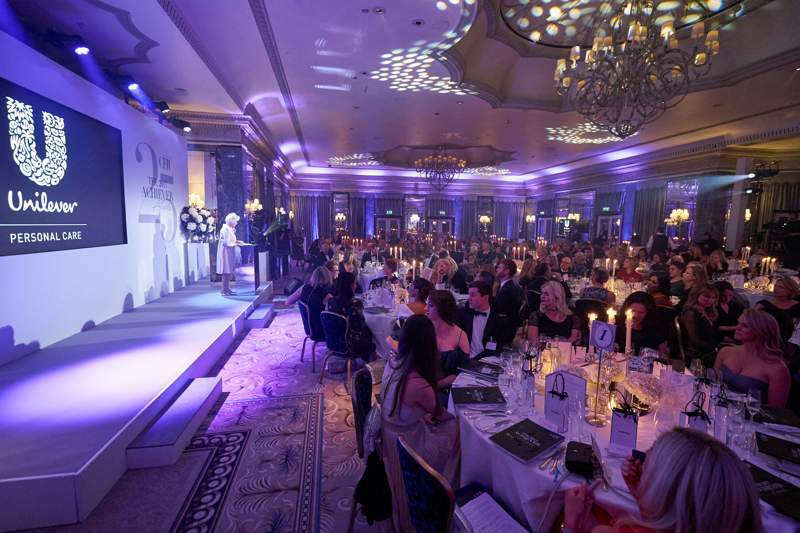 This year’s black tie event was hosted in The Ballroom of The Dorchester Hotel and marked the main celebration of CEW’s 25th anniversary. The evening commenced with a champagne reception followed by the awards ceremony and formal dinner. 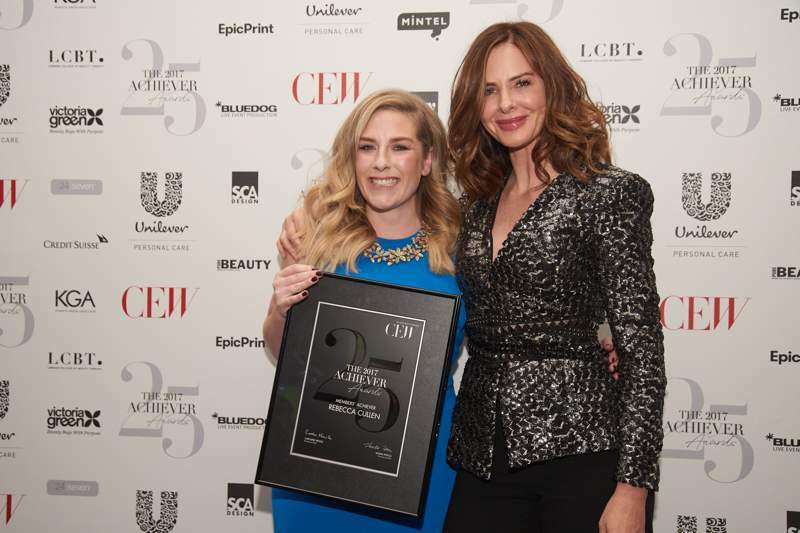 With over 300 attendees the evening celebrated CEW’s important milestone, as well as paying recognition to the incredible talent across the beauty industry. The Lifetime Achiever Award is presented to an individual who has made an exceptional contribution to the industry throughout their lifetime. 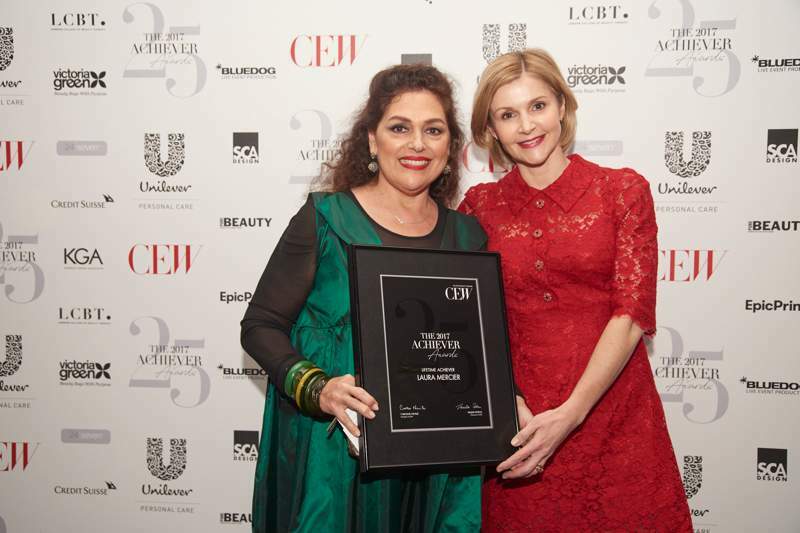 This year’s winner Laura Mercier is a world-renowned make-up artist and creator of Laura Mercier Cosmetics, Skincare, Body & Bath, and Fragrance. 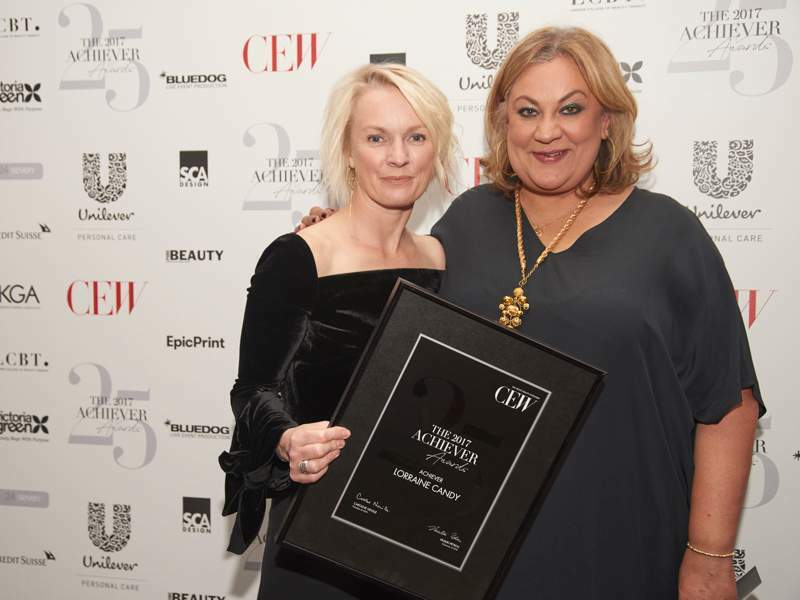 As the personal make-up artist to celebrities such as Sarah Jessica Parker, Julia Roberts and Juliette Binoche, Laura Mercier creates looks that are flawless and accentuate one’s natural beauty and it was a pleasure to name her the 2017 CEW Lifetime Achiever. 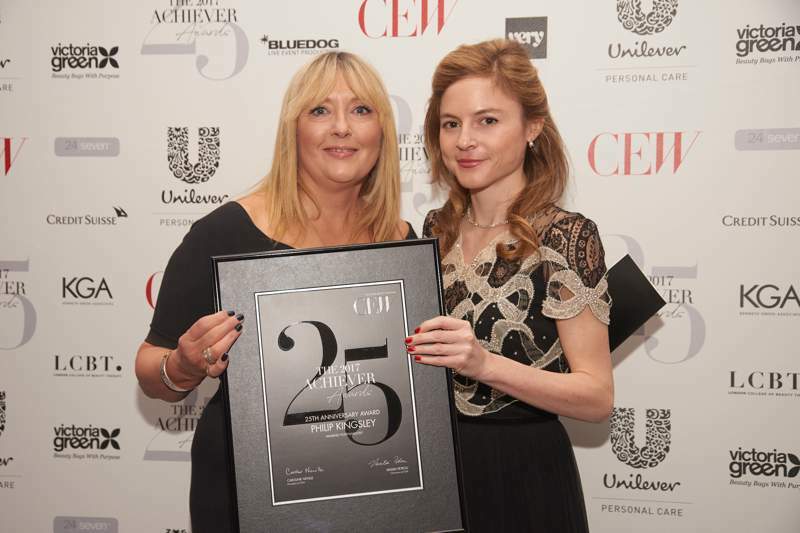 Laura received her award from Cecile Budge, Country General Manager, UK & Ireland Shiseido Group. The CEW Special Industry Award is presented to someone who has made an outstanding contribution to the industry and the advancement of individuals in their careers. 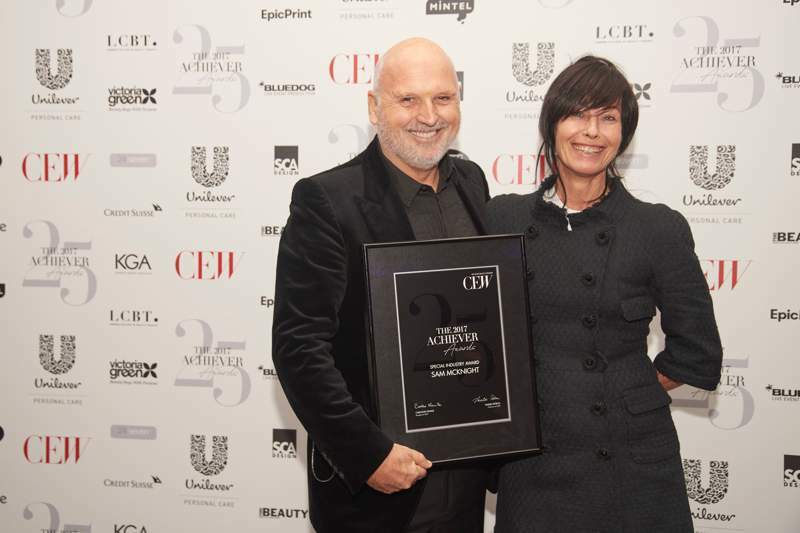 This year the honour went to celebrated session hair stylist, Sam McKnight. Sam boasts a legendary career spanning over four decades encompassing catwalks, editorial and advertising campaigns for fashion houses such as Chanel, Fendi, Balmain, Burberry and Tom Ford. As a recently appointed beauty contributor for the new British Vogue Sam also has over 100 covers to his name from Vogue alone. It was an honour for Amanda Harlech to present Sam with his Special Industry Award. Lorraine Candy is luxury content director of The Sunday Times and editor in chief of Style. She started her career in national newspapers before becoming editor of Cosmopolitan, subsequently taking the helm at Elle UK, where she ran a fully integrated, award-winning, 360-degree editorial team working across both print and digital. Candy is renowned in the industry for her digital content innovation, knowing her audience inside out and delivering high end luxury and fashion content to them. 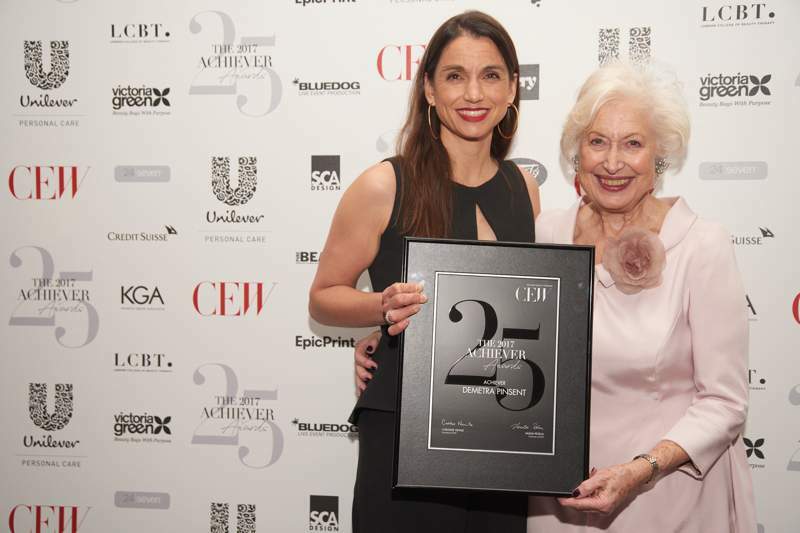 She was presented her award by fellow journalist India Knight. Sam and Nic Chapman are the expert make-up artists, artistic consultants to Real Techniques, authors and executive producers behind the popular YouTube channel Pixiwoo. Providing make-up demonstrations for a wide-range of styles, from everyday specials and costume make-up, to classic evening looks and recreation of celebrity style, Pixiwoo have more than two million subscribers across the world. Sam and Nic accepted their award from Dominic Smales, CEO and Founder of Gleam Futures. As Buying Manager for Innovation at Boots, Nicola Kilner's previous role saw her travel the globe discovering the latest trends and technologies available in beauty. 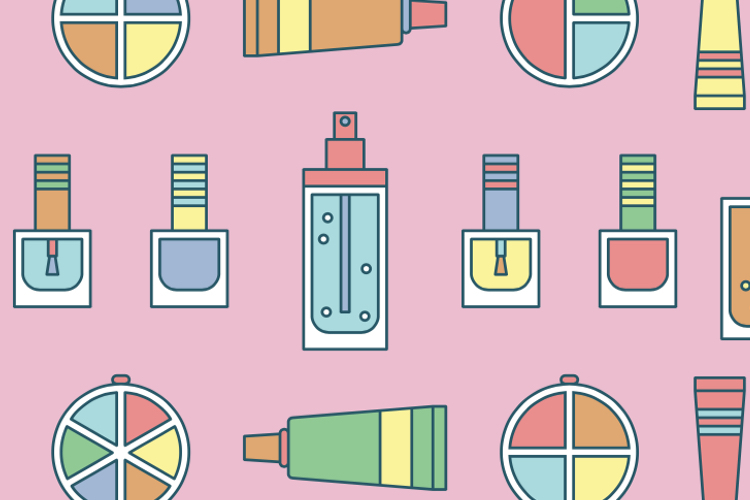 Now Co-CEO at DECIEM, Nicola's talents for seeking out "what's next" have found their way into a beauty umbrella that creates and manufactures its own products in-house. 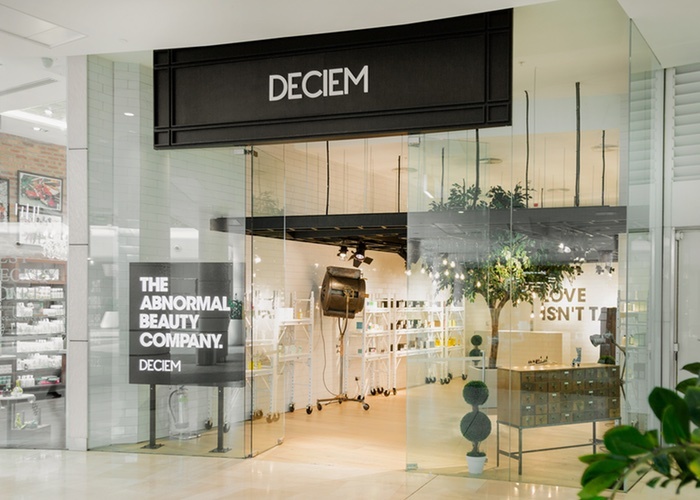 Truly knowing the beauty industry inside out allows Nicola to put a unique stamp on DECIEM's innovation. Most often found in the lab crafting alongside the team of biochemists or meeting with retailers around the world Nicola truly is immersed in every aspect of the DECIEM story. Founder of DECIEM Brandon Truaxe was honoured to present Nicola with her award. Pinsent is the CEO of Charlotte Tilbury Beauty. Founded by world-renowned make-up artist Charlotte Tilbury, the brand makes Charlotte’s artistry expertise and secrets available to all. Pinsent has been working with Charlotte since the business’s inception 6 years ago. 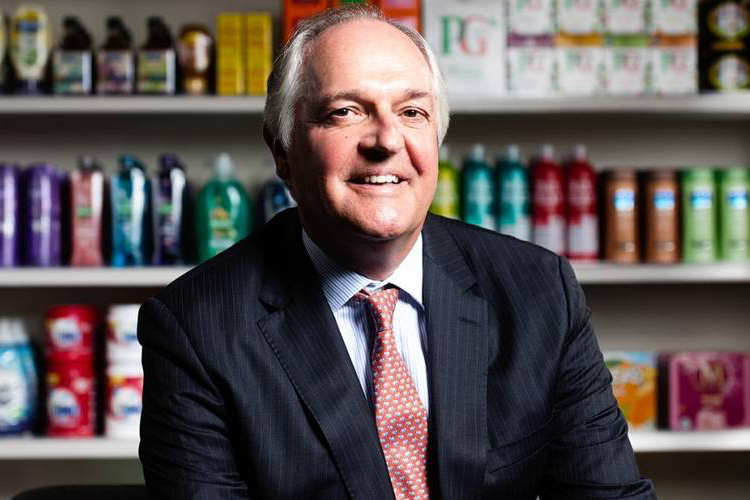 Now trading in the UK, Ireland, the United States, Canada, the Middle East and with global e-commerce distribution, the business has achieved record growth with much more to come. In addition, Pinsent serves as a non-executive director of Belmond Ltd and is a Trustee of The Royal Foundation. President of CEW Caroline Neville was thrilled to present Pinsent with this award. Heralded as the ‘Hair Doctor’ by the international press, Philip Kingsley was known worldwide as the leading authority on hair and scalp care. Starting his career at the dawn of the swinging sixties, Philip opened his first independent clinic in London’s fashionable Mayfair, where he became an expert and innovator on fabulously beautiful hair and the healthy scalp it takes to achieve it. At his specialist clinics in London and New York, Philip consulted to some of the world’s most influential people, including Hollywood stars such as Audrey Hepburn and Sir Lawrence Olivier. Well into his eighties, Philip worked tirelessly to revolutionise the hair care market and his legacy lives on today through his award-winning product range. 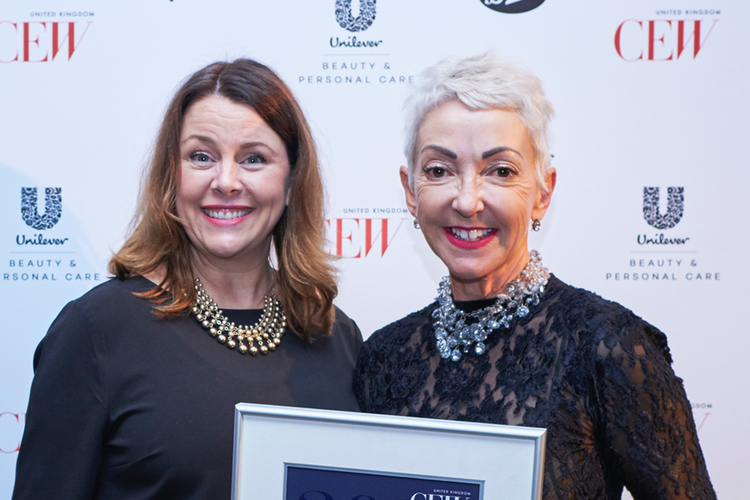 Anabel Kingsley accepted the award on behalf of her father and was presented the accolade by Alison Young, Resident Expert Beauty Presenter at QVC UK. Hanna founded London Lash three and a half years ago, the first year being hugely challenging as she was working alone day and night to grow the business from her living room. She soon began teaching eyelash extension courses as aspiring and already established lash technicians saw her work on her social media pages, which in turn led to her being invited to judge her first international competition. To this day, Hanna has judged more than 100 competitions all over the world and online, and has spoken at more than 50 international lash conferences, discussing various topics from innovative lashing techniques, to how to build a successful Instagram profile. Jacqui Owens, Head of Beauty UK at Google, was honoured to announce Hanna as the winner of this award. The CEW Member’s Achiever Award is a very special accolade as it acknowledges peer admiration. 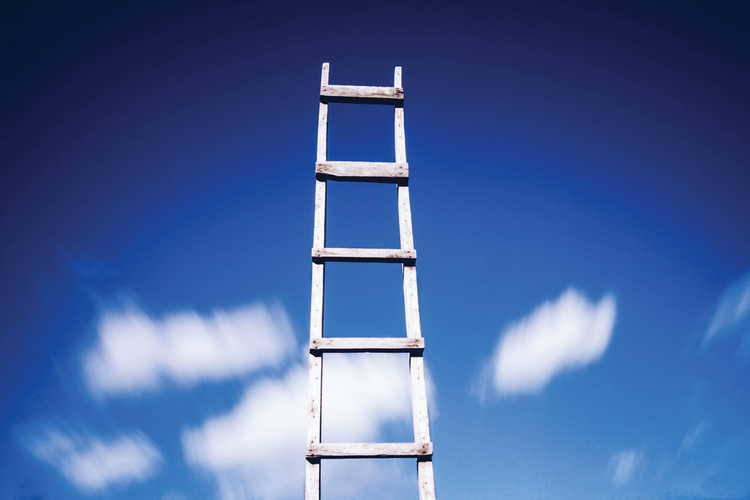 Recognising a rising star in the beauty industry, the Members’ Achiever Award is chosen by fellow CEW members. 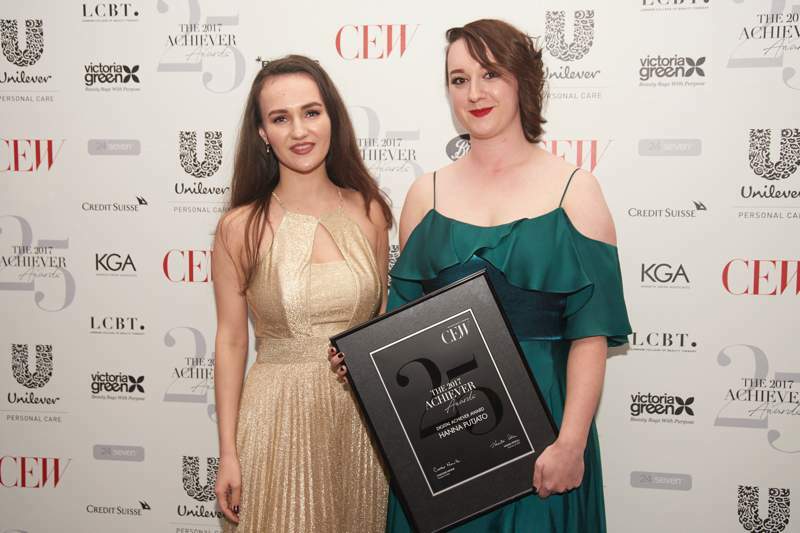 This year, the award was given to Rebecca Cullen – Beauty Brand and Education Manager at Marks and Spencer. Trinny Woodall revealed Rebecca as the chosen winner. 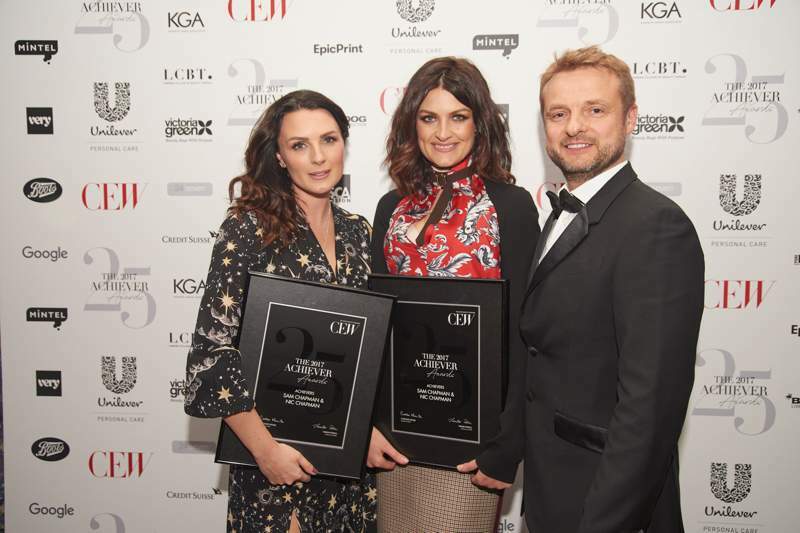 CEW would also like to commend Cullen’s fellow finalists in the category; Caroline Mapletoft – Senior Digital Executive, Coty; Margaret Mitchell – Buying Director, Space NK; Nicola Sutton – Head of Marketing, Pai Skincare. It was a wonderful evening and a great celebration of CEW’s 25th anniversary. 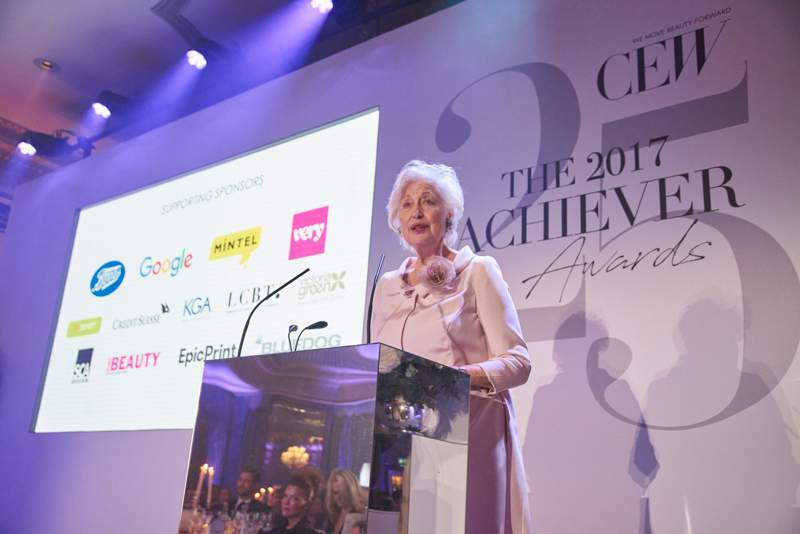 CEW is proud to honour these industry leaders and support the British beauty industry as a whole. 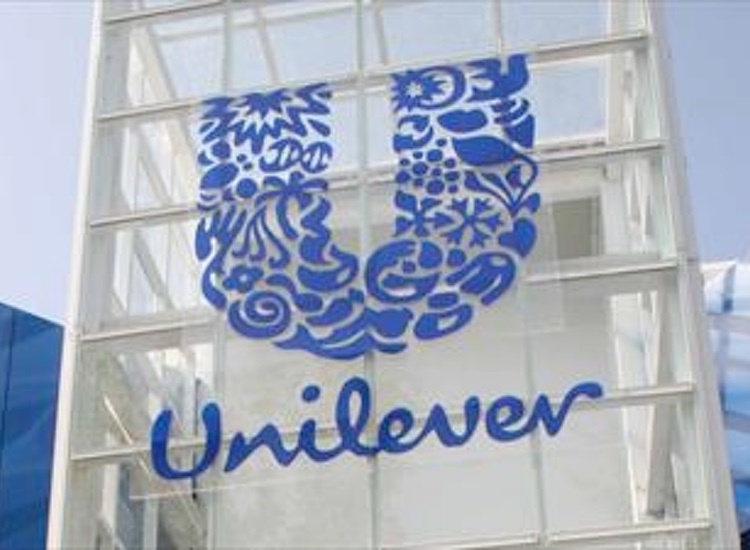 Congratulations to all of the 2017 Achievers and a huge thank you to title sponsor Unilever Personal Care along with supporting sponsors Boots, Google, Mintel and very.co.uk for their support across this event.